Janie Howard McMillan Dockery, age 90, of Dry Creek Road, Clearfield, passed away Saturday, November 17, 2018, at her residence. Janie was born February 8, 1928, in Olive Hill, a daughter of the late Orville and Peachie Black Howard. Besides her parents, she was preceded in death by three brothers, Scottie, Charles, and Robert Howard, Jr.; five sisters, Maudie Darlene Presley, Hildreth Fern Marcum, and Lena, Agnes, and Nell Howard; and two sons-in-law, Kermit Vencill and Charlie Centers. Janie’s husband, Kenneth Charles Dockery, passed away August 19, 1991. 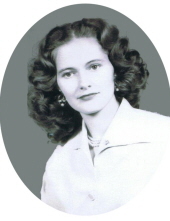 She is survived by three daughters, Sue M. Vencill of Clearfield, Pamelia Tinker (Bud) of Phoenix, Arizona, and Sandi Centers of Miamisburg, Ohio; one son, Howard C. McMillan (Anne) of Brighton, Michigan; one sister, Anne Caskey Money of Morehead; six grandchildren, Carolyn VanKannel (Kevin), Sarah Vencill (Brooke), Amy Centers, Kermit Vencill II (Laura), Zachary Centers (Brigid), and Michael McMillan (Tiffany); and seven great grandchildren, Grace VanKannel, Grant VanKannel, Anna VanKannel, Deva Centers, Davis McMillan, Hoke Hardin, and Tyler Hardin. Other survivors include three stepchildren, Margaret June Moshirri of Phoenix, Arizona, Michael Patrick Dockery of Edgerton, Ohio, and John Thomas Dockery of Ft. Wayne, Indiana; nieces and nephews; extended family and friends. Janie retired from TWA Airlines in 1988 as a reservation specialist after 20 years of service in Dayton, Ohio; Pittsburgh, Pennsylvania; and Los Angeles, California. She enjoyed quilting, crocheting, and being involved with the Rowan County Senior Citizens at Heritage Place. She loved spending time with family, especially the grand and great grandchildren. She was of the Christian faith and will be greatly missed. Funeral services will be held at 12 noon Wednesday, November 21, 2018, at Northcutt & Son Home for Funerals Memorial Chapel with Pastor Rick Stone officiating. Burial will follow in Brown Cemetery. Grandchildren and nephews will serve as pallbearers. Visitation will be 11 a.m. until 12 noon Wednesday, November 21, 2018, at Northcutt & Son Home for Funerals in Morehead. To send flowers or a remembrance gift to the family of Janie Howard McMillan Dockery, please visit our Tribute Store. "Email Address" would like to share the life celebration of Janie Howard McMillan Dockery. Click on the "link" to go to share a favorite memory or leave a condolence message for the family.